Tamartian season has officially begun! 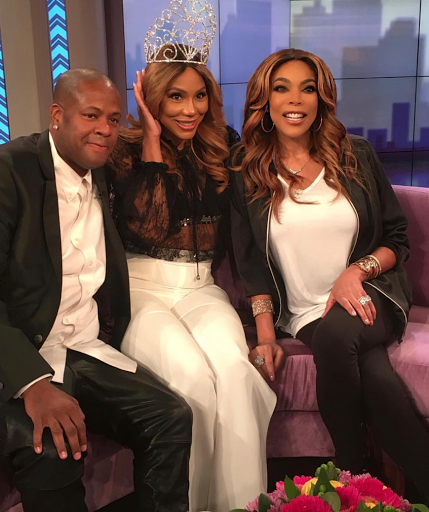 Tamar Braxton was a guest on The Wendy Williams Show & was joined by her husband Vince Herbert. The very blunt talk show host asked the singer about the rumored love child that Vince alleged had with another woman. Last week this story hit the internet & people had a notion that it was all a lie to gain buzz for the new season of Braxton Family Values which starts this week. Mrs. Braxton-Herbert even spoke on her marriage & what she would say to her former co-hosts of The Real.